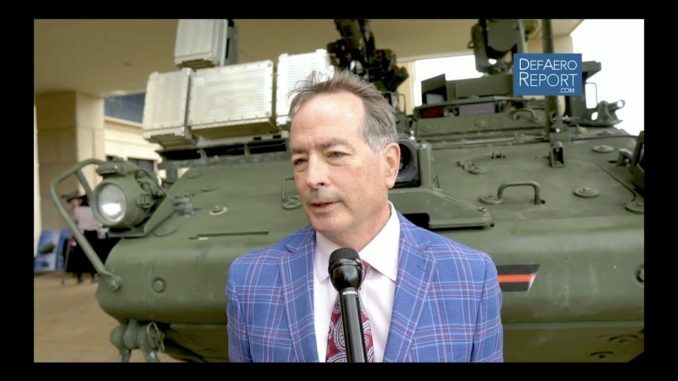 HomeAviation and Aircraft VideosUS Army’s Yaw on MEHEL, Future of Battlefield High-Energy Lasers! Richard Yaw, PhD, the director of air and missile defense and the chief of the high-energy laser division at the US Army’s Space and Missile Defense Command at Redstone Arsenal, Ala., discusses the Mobile Experimental High-Energy Laser, the future of battlefield directed-energy weapons, capabilities, and more with Defense & Aerospace Report Editor. NATO’s Nielson on Albania, Georgia Exercises; Capability Development!